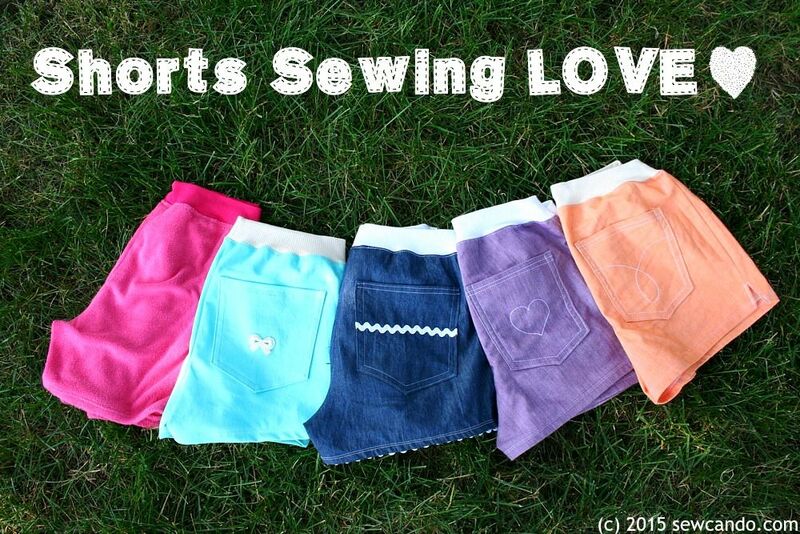 Today I want to share what I've been sewing like a mad woman lately: fabulous shorts. Way more comfortable, breezy and practical than skirts, dresses or pants. And I've been making them out of just about everything. When it's summer, all I want to wear is shorts. Finding the right ones....well, that's not so easy. Store bought shorts are either granny-style walking shorts or with an inseam in the negative numbers (note to clothing shops: if I wanted to display that much in public I'd walk around in underwear). 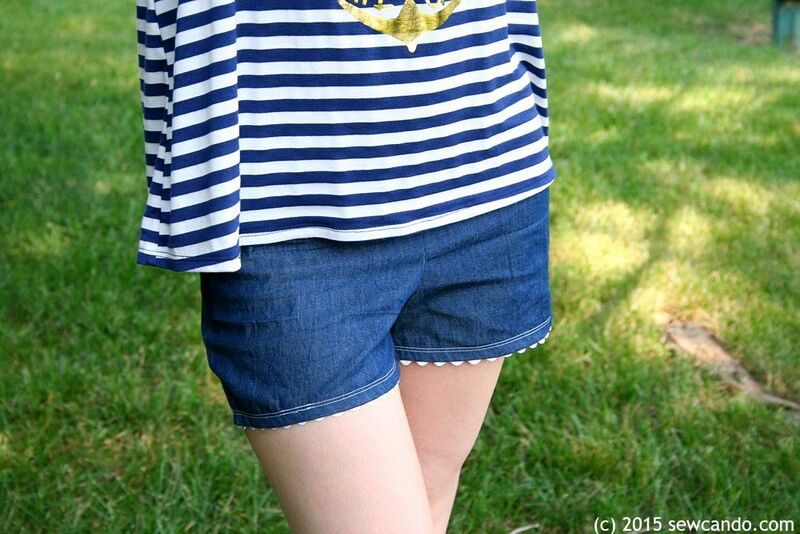 Most shorts patterns I'd seen were for the usual baggy or elastic waisted boxers. I still want them to look cute and stylish, just not inappropriate. I'd been eyeing the Jocole Skinny Pants pattern for ages. The pants I saw made with it all looked so flattering! And it works with both knits & wovens AND offers 3 elastic-free waistband options, so I was intrigued (I love me some multiple fabric-friendly patterns!). However, my cheapskate self did not want to pay $14 to take a chance. I waited until it came up for 50% off and I grabbed it! The pattern had options for full pants and various capri/clamdigger/nearly knee length, but no shorter shorts and the weather was getting pretty hot here. So, I measured 5 inches above the shortest option and used that as my cut length. That made the inseam about 3 inches when hemmed, which was ideal. Then followed the directions as normal. What really sold me on these was the knit waistband (I did the skinny style on all but my muslin). Using rib knit gives a great fit that is beyond comfortable and stretchy, but with no elastic. Plus, no one can even tell because almost every shirt covers the top edge. It's like secretly wearing pajamas in public, which feels awesome. Ooohhh! New idea just occurring now - need to make some in a soft knit or light flannel for summer pj bottoms!! I did the back pockets on all but my terry knit versions. I did varying topstitching designs on them so they would all look a bit different. I also did some triple stitch topstitching on some to mimic the heavy stitching usually found on denim, as well the split side seam edge you sometimes see on shorts. On the aqua denim I stitched on some bow appliqués for a bit of a Tiffany's kind of vibe. This was one of those patterns where once I started I just kept wanting to make more. I made 6 pairs of shorts, including my test muslin pair, in about 10 days, and I'm still eyeing more fabrics to turn into shorts. 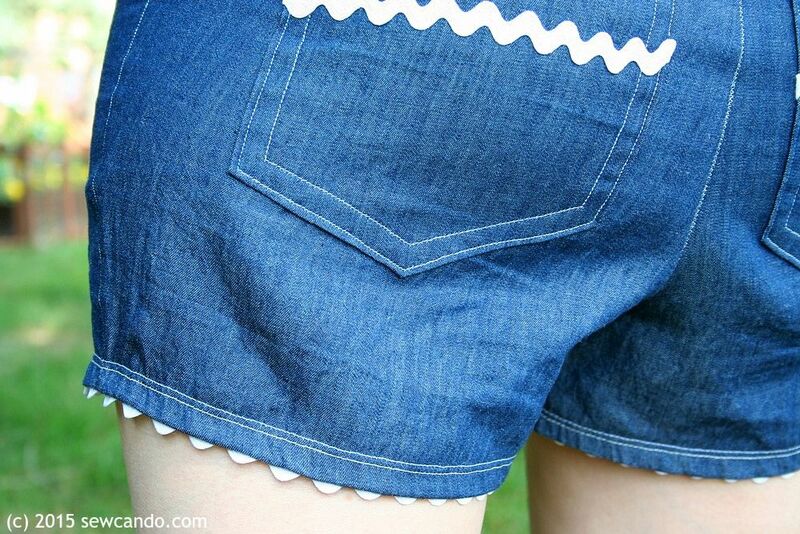 Added bonus - this uses very little fabric so it's very inexpensive to make. In my size 4 version, 1/2 yards of most fabrics was all I needed (plus 1/4 yard of rib knit used for several pairs). I scored the colored stretch denim in Canada for just $4 a meter, so I kid you not when I say I made the denim pairs for about $3 each! I'm looking forward to making pants with this pattern too. It's so refreshing to find a pants pattern that actually fits well. I didn't have to tweak or change anything. My big sewing pet peeve is buying a pattern and having to practically redraft it to get it to fit. We usually don't have to massively alter store bought clothing, so why should doing that to a pattern be required so often? Needless to say, this baby is going on my Pattern Joy list!! 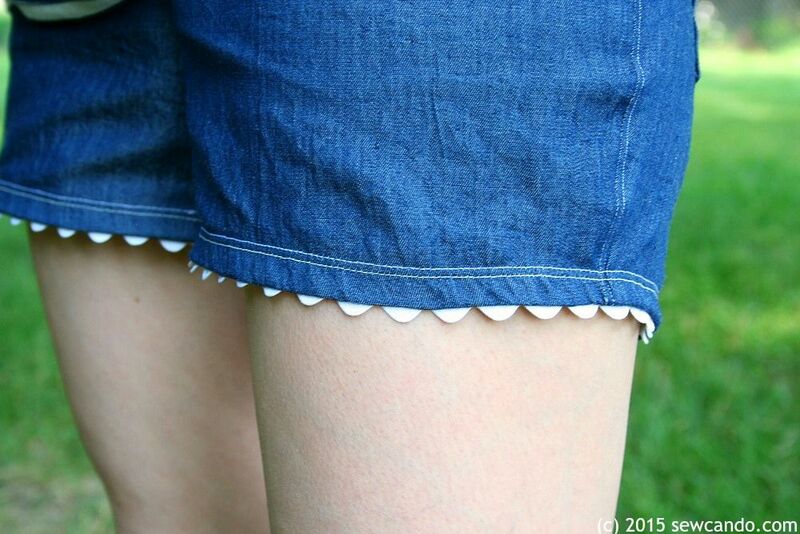 Really cute shorts. 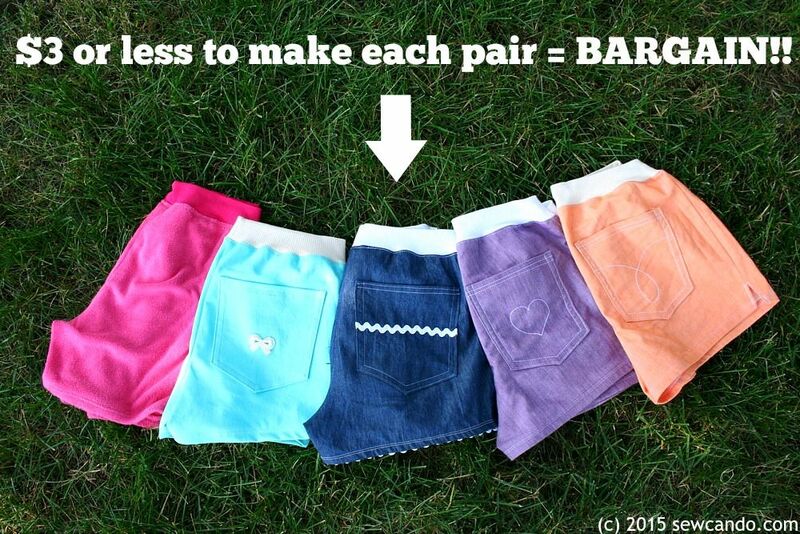 I love the easy style and the decorative back pockets! Your color and fabric variety make for comfy and fashion-friendly hot-weather combos.